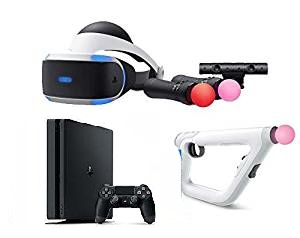 It is the future, and beneath the flickering glow of the sprawling New Angeles skyline, immense corporations seek every advantage in the burgeoning field of synthetic humanoid technology. On the brink of a revolutionary innovation, CyberSolutions Inc. is poised to become the next global powerhouse, threatening the profits of well-established conglomerates Haas-Bioroid and Jinteki � but unfortunately for CyberSolutions, security at their New Angeles branch has just been compromised. 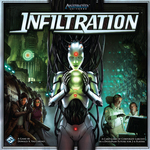 Set in the dystopian future of Android, Infiltration is a tense card game of futuristic larceny in which two to six players take the roles of thieves, competing to steal valuable secrets from a highly secured corporate facility. The most vital information lies deep within the complex, but each step inward takes you farther from escape. Worse yet, corporate mercenaries are closing in! How long will you push your luck as you avoid security patrols, surpass rival thieves, and try to download the most data before the building is locked down?